VIDEO: Fresh mission intercepted as hundreds march in Edinburgh against storming of ships. Israeli forces have boarded an aid vessel as it tried to break a blockade and make it to the Gaza strip. The Irish ship, MV Rachel Corrie, is captained by Eric Harcus, from Papa Westray in Orkney. It was bidding to take its aid cargo to Gaza but was intercepted by Israeli troops. They said they had not met any resistance on board. There has been no word of the Scottish captain or the boat's crew, but it was expected that they would be taken to Israel and deported. 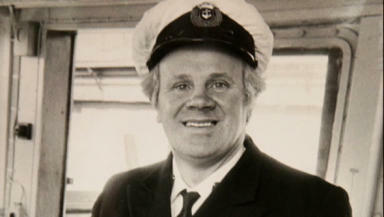 Mr Harcus was understood to be the only Scot on board the Free Gaza Movement ship. He had earlier told the Press and Journal newspaper that the atmosphere on board was "very good". "We are prepared for boarding," he said. "I am just asking what is the reason they are boarding." On board the ship was equipment for schools and medical centres. Just days earlier, nine people were killed in clashes involving a Turkish aid ship. That incident attracted international condemnation. Hundreds of people gathered in Edinburgh on Saturday to protest against Israel's storming of those ships - which led to at least nine deaths. A large crowd took part in the rally and march through the city centre to show their opposition to the raid, which happened in international waters. A number of Scots campaigners were caught up in the tragedy. Hasan Nowarah, from Glasgow, was the first to be deported back to the UK and told STV News he had been attacked as he protected an elderly man. "I was hit in my back with an M16. I rolled down and started hitting them with my bare feet," he said. Israel has claimed it open fire on the boat in self-defence. Mr Nowarah said the people of Gaza "are being killed in slow motion". He added: "There is no water for the people in Gaza to drink. "We will enter Gaza - we will enter the blockade." He was one of at least four Scots with the convoy when it was taken by commandos. Mr Nowarah is chairman of the Justice for Palestine Centre in Glasgow. Theresa McDermott, from Edinburgh, Hassan Ghani, from Glasgow, and Ali El-Awaisi, from Dundee, were also on board.